Welcome, alumni! Trinity High School has an alumni community of 7,000+ strong and we are the foundation of our great school. 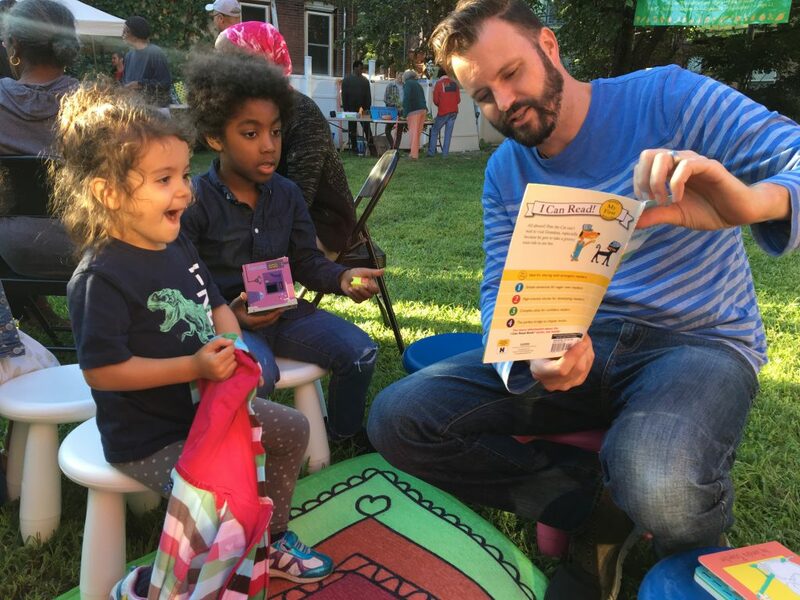 We are leaders, creators, entrepreneurs, athletes, performers, CEOs, volunteers, activists, and philanthropists. We are the doers in our communities and we represent the success of Trinity; our legacy is cemented on every campus brick. Trinity is proud of the many accomplished alumni and the significant impact our alumni play in today’s world. We take pride in preparing our students to lead and serve after graduation. Take a look at some of our outstanding alumni who are making a significant impact in their related fields. Bostick’s basketball career kicked off at Trinity, where she played under Coach Harry DeFrank and helped the Shamrocks win four Mid-Penn championships, three PIAA District 3 titles, and a PIAA state championship. She finished at Trinity with an overall record of 115-12 and ranks 7th on the all-time scoring list with 1,269 points. Bostick was also named to the Patriot News Big 15 Team in 1988 and 1989. After graduating from Trinity, she took her talents to Saint Joseph University, where she played basketball for the SJU Hawks, leading the team in scoring and rebounding as a senior. She also earned honors as a Kodak District II All-American, as a first-team All-Atlantic 10 selection, and as Most Valuable Player of the Hawk Classic. Bostick was the Big 5 Rookie of the Year in 1991, and she currently ranks 10th in all-time field goal percentage with an average of 49.4%. 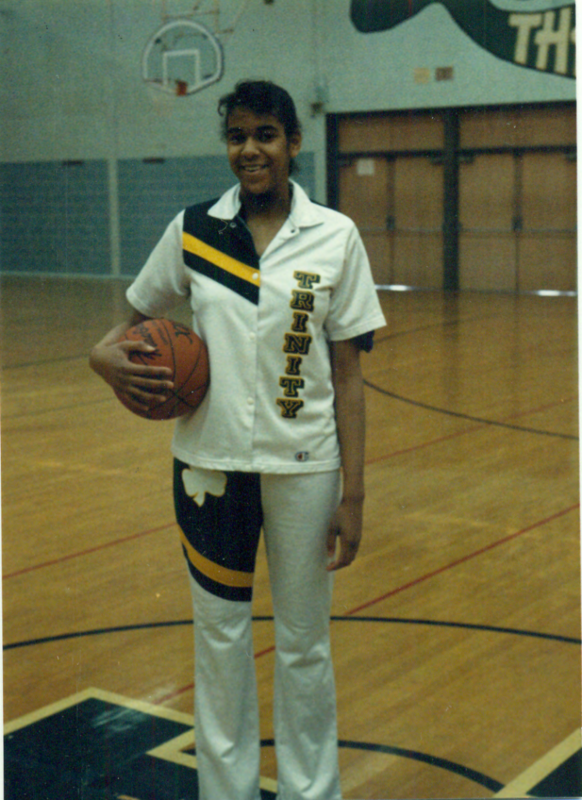 Bostick helped lead Saint Joseph to a Big 5 title during each of her four seasons and was inducted to the school’s Women’s Basketball Hall of Fame in 2000. Her achievements also earned her a nod by the Philadelphia Big 5 Hall of Fame, where she was inducted as a member. Of her experiences playing at Trinity and Saint Joseph University, Bostick says, “P laying sports and being part of a team really teaches you a lot of life lessons.” Bostick uses those lessons regularly in her career as a Division I collegiate basketball coach. She’s coached for Princeton University, the Air Force Academy, Vanderbilt University, and James Madison University. 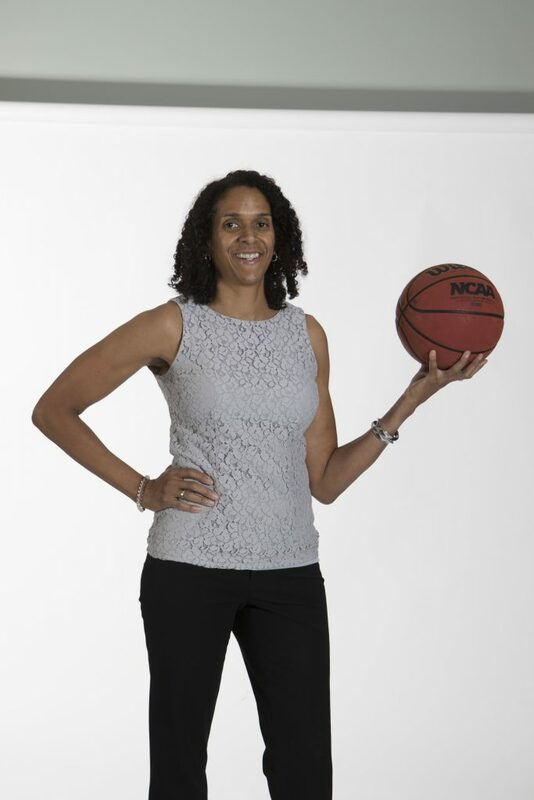 To Bostick, coaching is about “helping these young women get an education and putting them in a position where they can graduate and become productive members of society.” She is currently the associate head coach at the University of Missouri, Kansas City. In addition to working with young ladies, Bostick also spent time as a morale, welfare, and recreation supervisor on US military bases in Iraq in support of Operation Iraqi Freedom. Of the future, Bostick says her plan is to ” continue to coach college basketball and be a role model for my players, and to help them achieve success both on and off the court.” Her greatest goal is to “make a difference” for her players. Brittany Mesitano is in her final year at Widener University Commonwealth Law School with coursework focused in Business Law. Law school has afforded her many opportunities to engage with her community, including interning as a law clerk for the Honorable Judge Anne Covey on the Commonwealth Court of Pennsylvania, and during the Fall Semester she was an intern in the Office of Cabinet Affairs at the White House. As an intern for President Donald J. Trump, Brittany’s duties included facilitating United States Cabinet meetings by coordinating venues and providing logistical support; participating in speaker series events which featured Senior Administration officials; drafting policy and legal analysis memorandums on current affairs; and assisting in organizing events for United States Cabinet Members and Agency Officials. 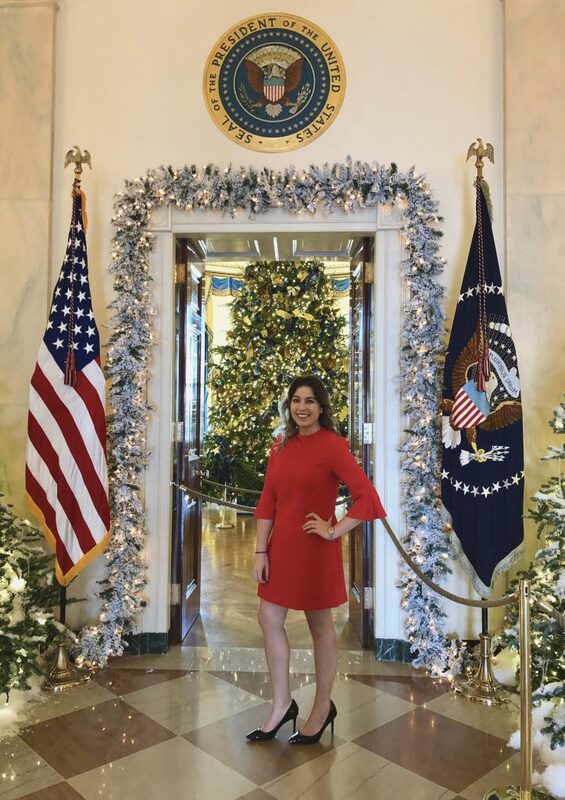 Brittany was also able to tour the US Capitol and Supreme Court Building, and watch President Trump and the First Lady depart on Marine One on the South Lawn. She is pictured with President Trump (over the President’s shoulder in the red dress). Personally, Brittany values volunteering, and as a Penn State alumna (’15) she has volunteered with the Paterno Family Beaver Stadium Run for Special Olympics Pennsylvania for the last five years. In 2016, she and her family were honored to receive the Special Olympics Pennsylvania Community Hero Award.